If you do not want or are not allowed to show the price for the final cleaning separately in the invoice and want to add it to the price for the first night, you must divide the price section for the accommodation. Please open the booking and go to>Services>Accommodation. Set a checkmark at the accommodation period at which you want to add the final cleaning and which you therefore want to split. Then click on the small triangle next to the> gear symbol at the bottom left. 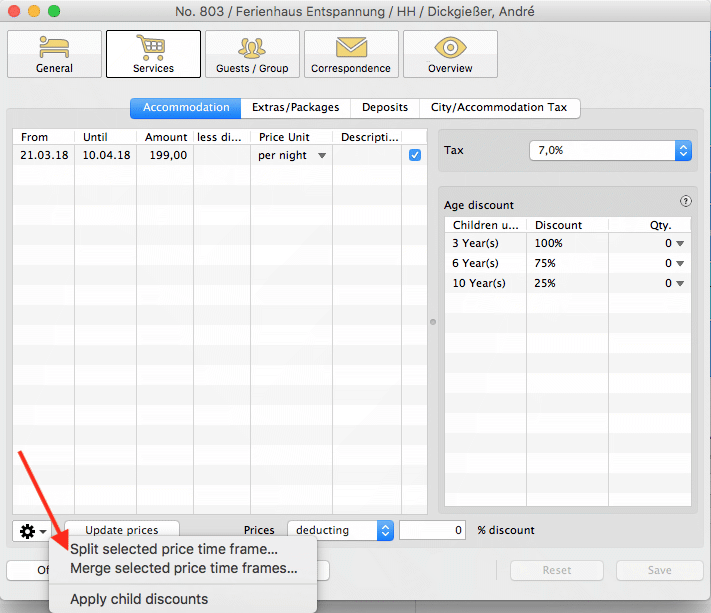 Then select>Split the selected price section..., see screenshot. The>Split Selected Price Section window opens. Please enter the date on which the price section should be split, so in this case enter the day following the start of the booking. For your orientation you can name the two price sections so that you know later why you changed the price for the first night, see screenshot. You have now turned one price section into two and can edit the prices and price units for each of the sections separately. 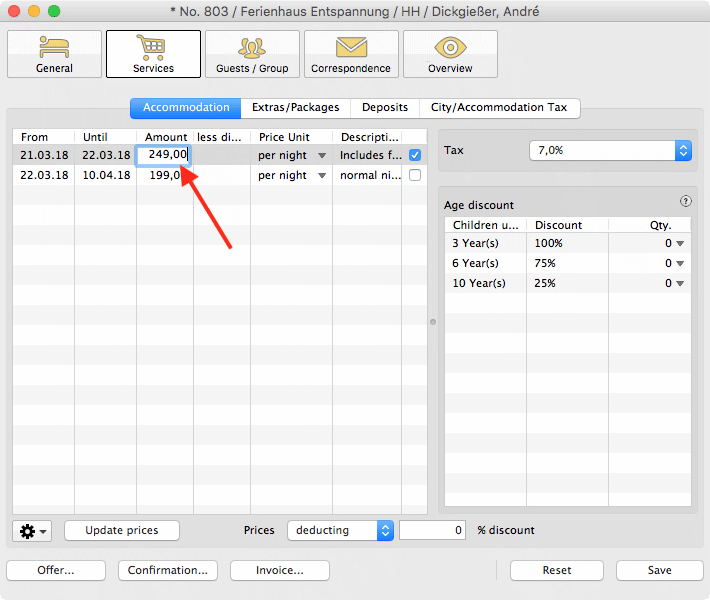 With the price for the first night you can now increase the price for the final cleaning, see screenshot. NOTE: Please check in advance which price unit fits best: If the price for the final cleaning is a fixed price, person-dependent prices like e.g. 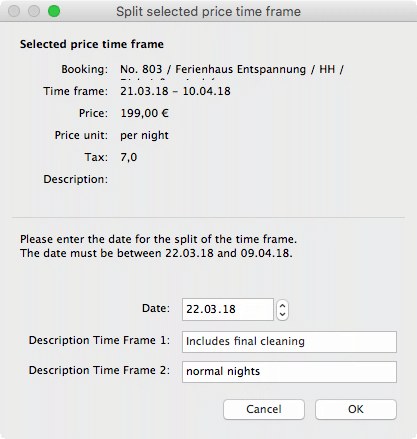 per night/PERSON are more complicated, because you must calculate the final cleaning price for each person, in order to enter the correct price.